This morning I awake early and slowly getting ready for what would be a long day. Wizards vs Trailblazers it was an afternoon game. When our doors opened we had a few fans to enter and then as I look into the bowel I see other fans who were sitting and watching the players practice. The big screen soon showed Martin Luther King clip’s to celebrate his legacy. Soon the dj was pumping all the good music and there was times my head was a bopping. Gia and Rodney were in the house doing what they do. The Wizards was celebrating a legacy and before anything got started Bradley Beal gave a speech to the fans. Then there was the pre game entertainment by Spring Hill Elementary School followed by Arcola Elementary School who sung the national anthem. 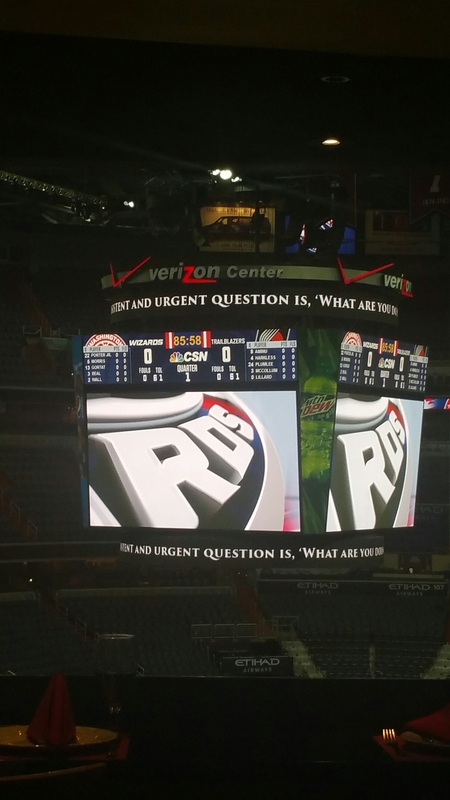 The game started off quickly with Wizards getting a basket first. Of course they had the 50/50 raffle for the fans. As the game went on the Wizard Girls did a performance and so did the Wiz Kids. When half time came a performance was done by SOHO Performing Arts. The fans needed to stretch their legs so they started the Dance Cam and Michael Jackson was being played. Before it was time for me to go home in walked Tucker Barnes & Steve Cheney from Fox Five News (fox 5)and I got a chance to hang with the two coolest guys ever but I had to remind Tucker that he owed me “THE WALK.” I was relieved when my co-worker decided he wanted to switch with me so I was able to come home and watch my Caps play instead of working the Hoya game tonight. I really didn’t want to miss the Caps game. So now I am going to watch my Caps crush the Penguins. 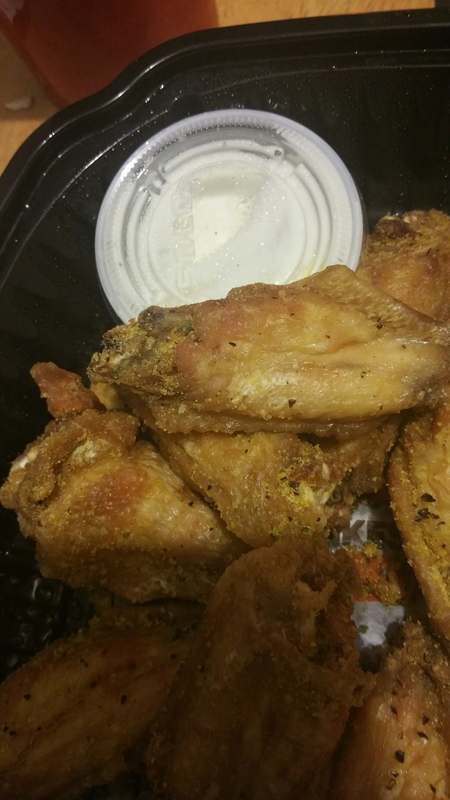 On my way home I stopped at Hooter’s and got some wings.